Sylvester Manor, located on Shelter Island at the eastern end of Long Island, New York, has been in the same family for 360 years. Five years ago a member of that family, Bennett Konesni, found himself with the responsibility of carrying on the land and the farm for the next generations. While preserving the historic property, he turned it into a sustainable, organic farm that educates all who visit it, and feeds as many local residents as possible. “I was raised in Penobscot Bay area of Maine on the island of Islesboro, in a little town called Appleton,” Konesni told Calmful Living. “My parents were not farmers but back-to-the-landers. We built our own house and had a garden, and were music lovers. My mom ran the health center on Islesboro Island. We’ve been part of a small progressive area of the country—a lot of small farms and a lot of tight communities. That was sort of the soil that I was raised in. Sylvester Manor already had a remarkable history of farming and the raising of food. “I asked myself, what do you do with an old plantation?” Konesni continued. “It’s an old slave plantation—the most intact former slave plantation north of Virginia. But it also is a former Native American hunting and fishing ground and farming area, as well as a Revolutionary War–era farm that was farmed by the contemporaries of Thomas Jefferson. So it’s got this amazing history of food. They are also developing their livestock operation; they’ve raised pigs, had laying hens and currently have sheep. Produce is sold through their 120-subscriber CSA, to local restaurants, through the local farmers’ market, and through their own farmstand, open daily and visited by residents from all over the island. A very special aspect of Sylvester Manor’s current operation is education. “We have youth programs for kids from 4 to 12 years old,” said Konesni. “I take 20 to 50 kids on the property every weekday all summer long. They learn about how food grows, why organic food is important, how animals and soil are the bases of good healthy food, and how it can fit into their lives. They also learn how the history and future of the place can fit into their lives. To preserve the house and the grounds for posterity, and to keep these many programs up and running, the property has now been turned over to the nonprofit organization Sylvester Manor Educational Farm, which Konesni founded and which he will continue to oversee. “The place has been in my family since 1652, and that’s roughly 360 years last year,” Konesni pointed out. “My goal is to continue it another 360 years. The manor house itself is one of the oldest architectural relics of the early days. I see it as being a thread that goes through time. “The way the family was able to maintain itself for this long was through exploitation. They exploited people by enslaving them and getting big profits that allowed family members to hold on to their land. They also exploited the land itself by selling off big chunks; they used to own the entire island, which is more than 8,000 acres, and over the years every generation sold off big chunks of it in order to keep them going. 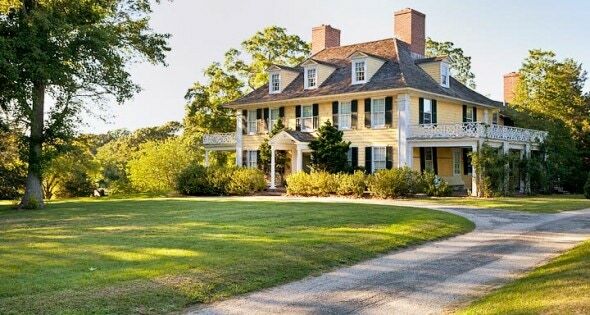 “As a result, you have the town of Shelter Island around Sylvester Manor, but a lot of it is in houses and developments. You lose some of the original integrity of the island that way.